Malawi super league holders Big Bullets main executive committee is in dispute with a group loyal to chairperson Sam Chilunga and general secretary Titha Mandiza over the Blantyre derby gate collections. Malawi24 understands that dispute has resurfaced at Big Bullets following the gate revenue of 16 million which was raised during the Blantyre derby on Saturday. According to information reaching Malawi24 Big Bullets players are demanding the resignation of Mandiza and Bruce Tambwali. Mandiza was quoted by one of the local newspapers accusing Kelvin Moyo and Sam Chilunga for being behind the players petition to remove Mandiza and the supporters committee treasurer Tambwali. “Kelvin Moyo is bitter that I issued instructions that we should not hire his firm—TopSports—to be manning the gates and he is now conspiring with the chairperson [Chilunga] to oust us by cooking up stories regarding the firm [Joka Investments] which was hired to man the gates during the derby, but they won’t succeed because I was elected into office unlike them,” said Mandiza. Mavuto Chibambo also claimed that Big Bullets players were forced to sign the petition for the removal of some executive members by Moyo and Chilunga. “It is these two [Chilunga and Moyo] who forced the players to sign the petition and some of the players have confided in us, and they better be prepared to fight to the very end,” he said. On his part Kelvin Moyo was also quoted by the same daily paper rubbishing Mandiza and Chilambo’s claims that he is behind the Big Bullets players petition to remove some of the supporters treasurer and the clubs general secretary. “I do not want to be part of this mudslinging in the press. To begin with, I am no longer a member of TopSports, I resigned when I was appointed vice-GS for Bullets and I have never used my position to influence any decision on which firm should be hired to man the gates. “If they had issues, I would have expected them to follow proper procedures. As GS, I report to her [Mandiza] and I have no reason to sabotage her,” said Moyo. It is now no secret that Big Bullets players are boycotting the teams training sessions claiming they will restart the training sessions once the the general secretary Mandiza and the supporters committee treasure Tambwali. A Bullets ndi mavendor kuba basi.Which company can dare sponsoring you thieves! 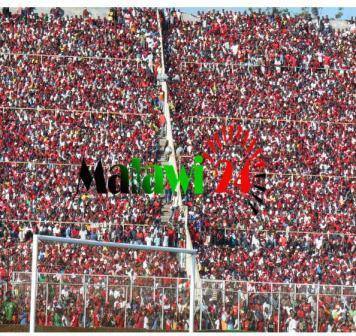 Mwaulemu eti, perekani ndalamazo, #RED_ARMY YIAKWIYA #UMADZIWIRATU…… #MAPALE Sasekelera zimenezo. #NOSENSE!!!!!!!!! Clement Byson listen to Zodiak, zikachitika mumvera kwa ife James Chilapondwa ndi Billy Tewesa achitira umboni kuti maplayer akunyanyala trainning ndipo ngati Sam ,Titha ndi winayu siatula pansi maudindo awo ,game ya standard bank cup ndi Civo lachinayi likubwerali maplayer siakamenya. No need to send details on Gmail, am within SA where should I come to showcase my skills??? tiyenazoni olomutakhala osawapatsa osewela abibi bullet iwondalama saidziwa bola iwo akuwina magemu basi. Koma mbuli izi Zidzazindikira lit? Anthu amadziwa kuti timu ya BB ndi ya anthu akuba.Nthawi ya CAF anabanso ndalama yomwe anthu amawathandiza kuti athandizikire. imenei ndiye tiitcha kuti chani gate gate,? Inu mwava ndani? Maboza basi team isachitebwino muipezele zifukwa mkuoneka zulo alephela coz kamwa zanu zotamba ngati bowa wa namowe. Iwe admin ndi wa bb mmasa ndiwa no14 mu tnm super iwe. timu ili sponsor koma kulimbikira kuba kangachepe komwe kapedzekako munakhala bwanji kodi? Anzathu ali ndi sponsoship koma simuzamva nkhani za ndalama kuti zasowa ayi awina pompano calsberg cup sikunamveke kena kalikonse kokhodza ndalama koma tikanakhala ife kunali kupondana .ndimauda mtima wanga pondiuza kuti ndizikonda bb apo bii sindikanatero. D@s Cashagate Fc,kateam kaumphawi kma kokonda cash……. A Brian,team yanu ndi noma yomweyi yomaluluza kapena ndiyina? Don’t bring some misfortunes 2 our beloved team, u r greedy executv members! !